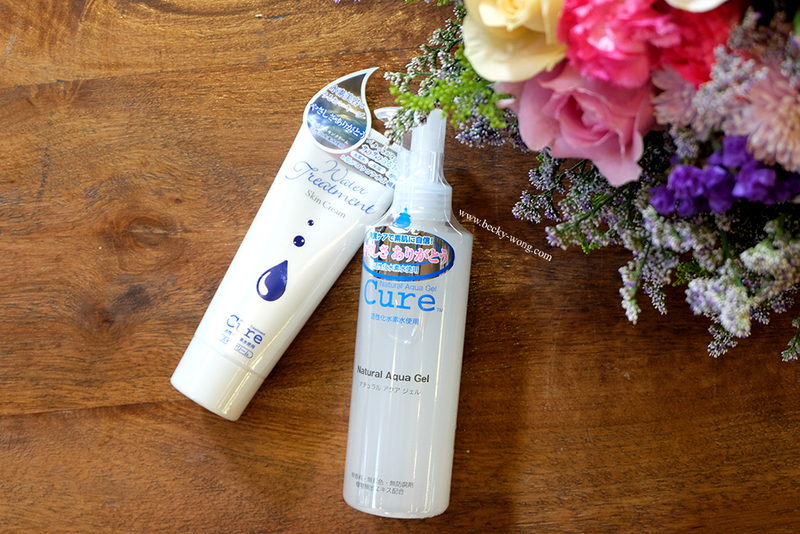 It seems like I have been blogging a lot about food lately, so I decided to take a short break from food and talk about a skincare that I've came across last month - Cure. CURE is a well-known skincare from Japan. 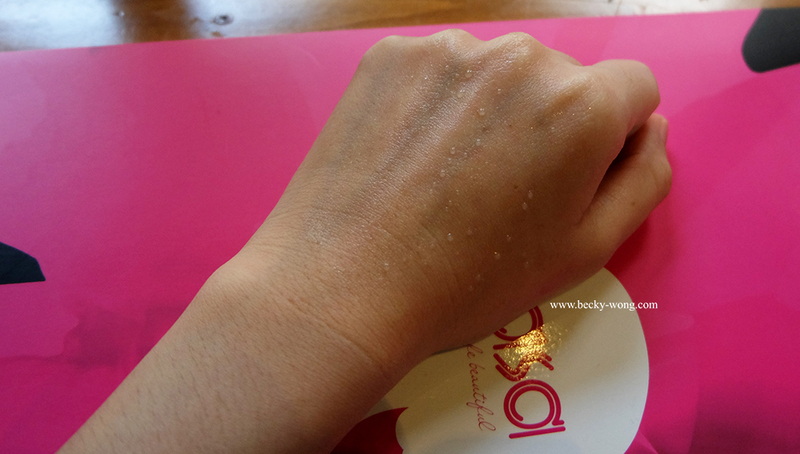 If you visit SaSa frequent enough, I'm sure you'll come across CURE best seller - CURE Natural Aqua Gel. 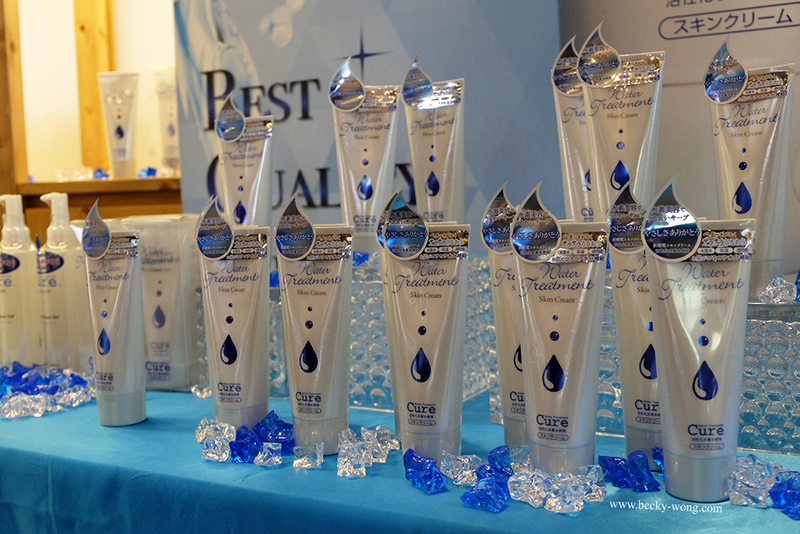 The aqua gel has taken the market by storm, and after the success of this product, CURE has released another new innovative product - CURE Water Treatment Skin Cream. Let's take a look at both of these products. CURE Natural Aqua Gel (RM 115). Known as "Legendary Product" or "Monster Product", the Natural Aqua Gel has been the best seller in Asia since 2012. It is so popular that the aqua gel is sells EVERY 12 SECONDS in Japan! Initially I thought it was an emulsion or some kind of moisturizer, but it turns out to be an exfoliator. Natural Aqua Gel consists of 91% of water and doesn't contain any harmful ingredients. The gel comes is clouldy-clear and has a semi-solidify texture. I pumped some onto my hand and gently massage the gel. It spread on very easily like a watery moisturizer, and I was starting to think where does the exfoliating come in? After a few seconds of massaging, I started to feel something grainy on my fingers and saw dead skin covering the back of my hand. 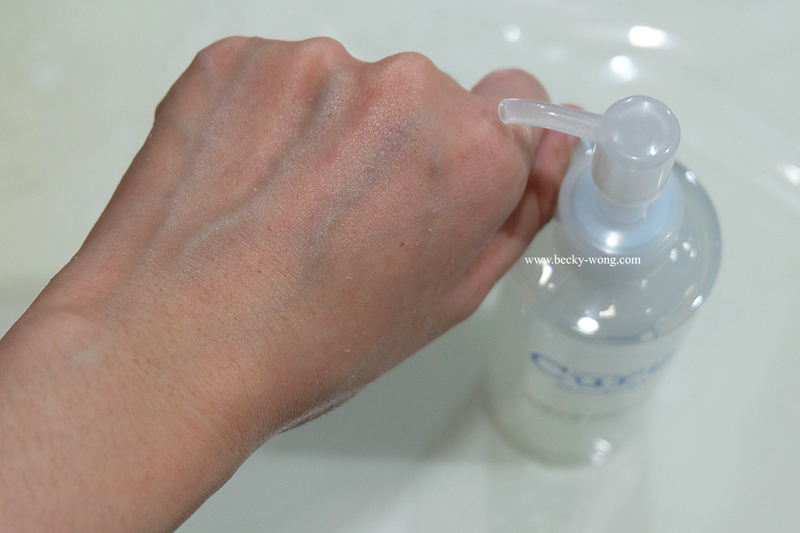 My skin felt so much smoother and softer just after one application! I think it looks fairer too, but maybe not that obvious. Unlike many scrubs and exfoliating products, Natural Aqua Gel doesn't leave any redness on the skin after using. It is so gentle on the skin yet effective. 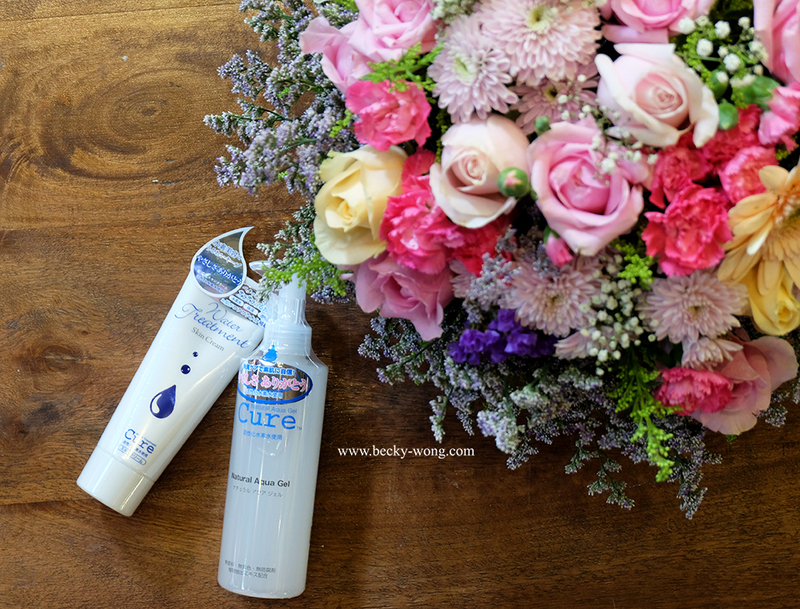 If you have sensitive skin, you might want to consider CURE Natural Aqua Gel. 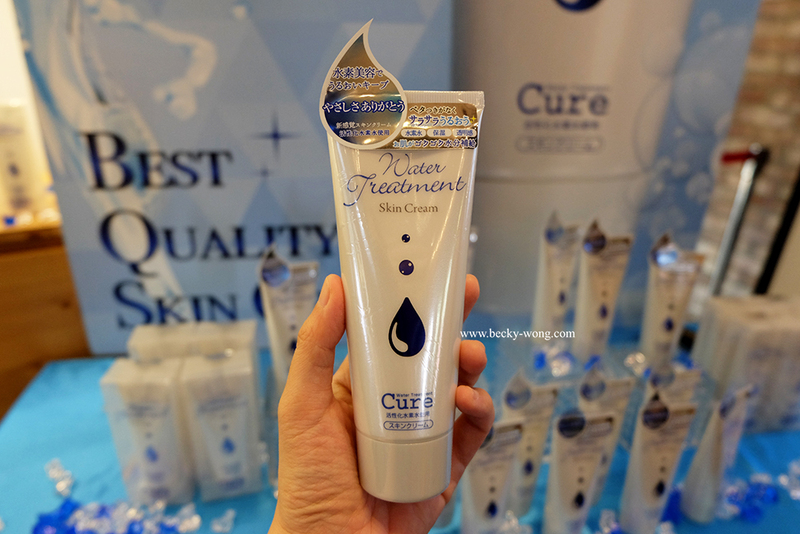 CURE very new innovative product - Water Treatment Skin Cream (RM 169). The skin cream has 2 main purposes - as a toner and emulsion. The cream comes in the form of lightweight moisturizer, and I like the texture feels like lotion rather than a cream. Frankly, I was expecting a thick consistency when I saw the word "cream" on the packaging, but it turns out to be really light. Due to its high skin absorption rate, it doesn't leave any sticky residue after applying. The fun part is, after massaging the cream onto the skin, water started to emerge! Did some research on the product, and it seems the cream consists of 75% of hydrogen water that helps in speeding up the skin's regeneration process, reduces fine lines and wrinkles. If you are interested and want to try out the products from CURE, you can now get them at selected SaSa outlets in Malaysia.